Breastfeeding is the most natural way that all mammals feed their young. There is some controversy over human mothers breastfeeding their babies, unfortunately. There are those who try to make it a dirty, shameful thing or try to sexualize it. Most of that negative association stems from ignorance. Breastfeeding is the best way to feed a baby, although sometimes it can be difficult because our society is not yet 100% Breastfeed friendly, so that causes some stress on new mothers. For any mama out there who has breastfed, or attempted to breastfeed, they know how tough it can be, and the kind of strength it takes to keep a baby nourished from breastmilk. It takes a toll on the mother’s body and emotions, but also gives a peace like no other, to both mother and child. There is a close bond that happens with every session of breastfeeding. It is an accomplishment once the baby and mother are successful! 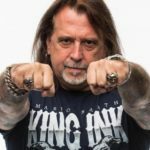 It’s no wonder that tattoos to celebrate this milestone are so popular. There is some controversy about whether getting a tattoo while you are still breastfeeding is safe, so please discuss with your doctor if you are thinking about getting ink while breastfeeding. 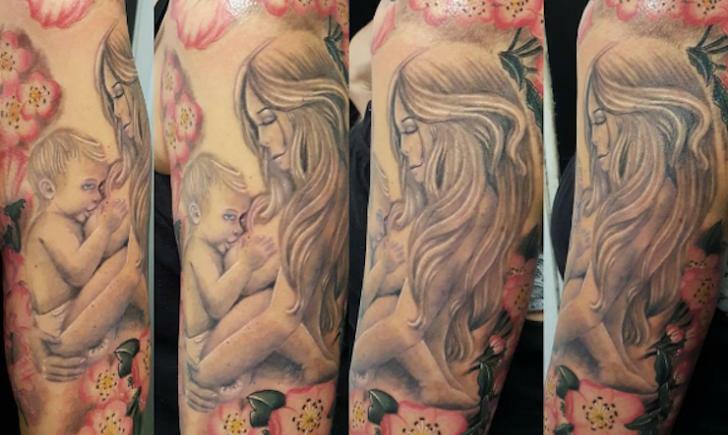 A painterly, zen-filled breastfeeding tattoo of mother and child simply on the wearer’s arm. This breastfeeding tattoo has lots of detail and is probably custom of the actual mother and child. The aesthetic is old school style gypsy mother in her beautiful regalia breastfeeding her sleeping baby. This unique breastfeeding tattoo can be interpreted in a number of ways, but because breastfeeding is truly nourishing from one’s body, it is like giving life to the new baby. Beautiful, peaceful scene of mother and child under the shade, bonding. Here is a more stylized and colorful breastfeeding tattoo. This beautiful and large sketched style breastfeeding tattoo shows all of the beautiful emotional bonding that happens with breastfeeding. A mother and her baby. Simply beautiful. Here’s another lovely scene filled with flowers, but this time, a healthy toddler that is breastfeeding. Another bold line and painterly watercolor style breastfeeding tattoo with the baby’s name.